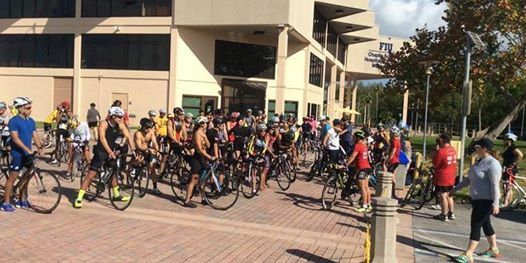 FIU Wellness & Recreation Center - BBC is inviting students, faculty, staff, and alumni to join us at the Try a Triathlon event. Duties include checking in participants, working waterstations, managing fun (water guns), handing out awards and directing racers on the course. Cheer on your fellow panthers, staff and their families as they run to the finish line!!! All volunteers receive a FIU Volunteer t-shirt, water, and community service hours. Located on FIU BBC - Please report to the HM Patio area and volunteer check-in will be with Christina Reddick at the FIU Tent. If you already have a FIU volunteer tshirt please wear it!